Swansea Metropolitan has been ranked one of the Top Universities in the UK for the provision and quality of its Applied Learning and Teaching. The Telegraph’s University Course Finder recently revealed the figures, which included 130 Universities across the United Kingdom. 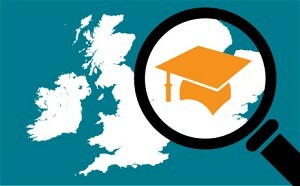 The highest ranked universities were Arts University Bournemouth, which focuses on “practical learning, as opposed to theoretical work”, and Swansea Metropolitan, which boasts a dedicated Applied Design and Engineering faculty. The University Course Finder uses information from the Government’s new Key Information Sets (KIS) database, which provides the ‘Average of course spent in scheduled learning and teaching activities’ by course. The Good news comes at a time when Students studying within the School of Applied Computing recently indicated their satisfaction with the School via the completion of the National Student Survey (NSS), awarding the School an Excellent rating of 91% overall satisfaction. One programme individually identified in this survey was the B.Sc. CIS programme which obtained an incredible rating of 100% student satisfaction. The National Student Survey is a survey of all final year degree students at institutions in England, Wales and Northern Ireland. The survey assesses students opinions of the quality of their degree programmes. The questionnaire assesses the following aspects of the student learning experience: Teaching, Assessment and Feedback, Academic Support, Organisation and Management, Learning Resources, Personal Development and Overall Satisfaction.